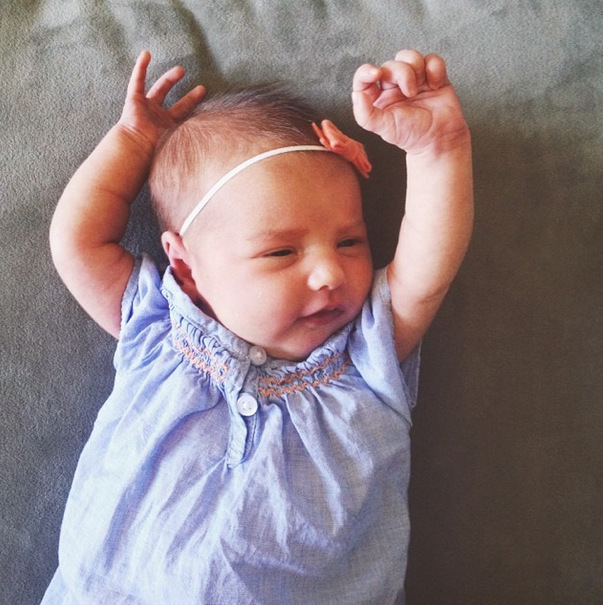 Louisa is almost three weeks old and is such a good baby. We all love her... even Fritz is starting to come around. She is really fattening up nicely and has such beautiful skin. William still calls her "Moo-isa" and is constantly kissing her and asking her how she's doing. Even though she doesn't cry very often, Fritz has taken to yelling "Stop baby!" whenever she does. It cracks me up/stresses me out. My mother-in-law gave the boys each a little white board and some markers for them to draw on. It's their new favorite toy and William draws pictures on it all day long. 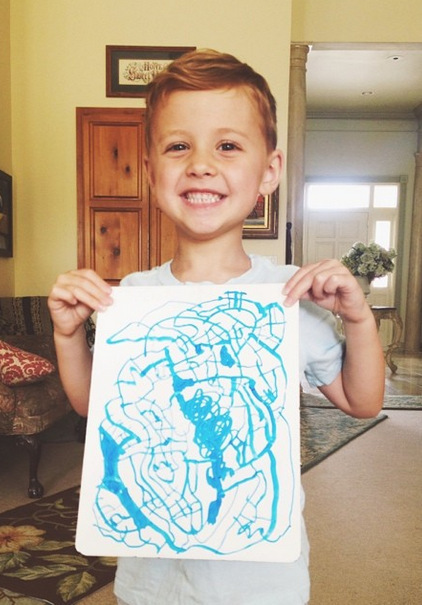 He was very proud of this abstract piece and asked me to take a picture of it... so I did and doesn't he look so old?! Waaaaah! This last weekend we attempted to go do something as a family. Since we live in Arizona in the middle of the summer, there is almost nothing to do here except eat, shop and swim. Being only a couple of weeks postpartum, swimming isn't an option so we headed to REI so David could look at some camping/hiking stuff that he wants for his birthday. Louisa lasted about 15 minutes before she was hungry. I am not one to hide my breastfeeding but there was literally no where to sit in the entire store. It was Saturday so it was really busy and there were only a couple of benches with no back for trying on shoes. 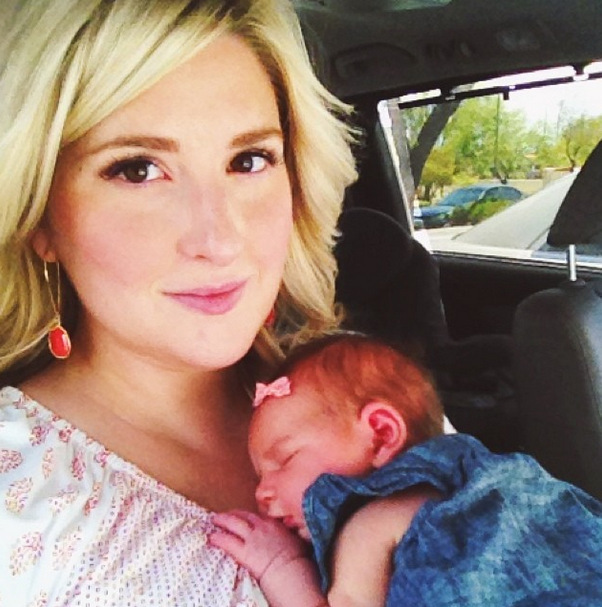 So, I headed back out into the 110 degree weather to nurse her in the car. Don't worry, I turned on the air conditioning but this is why I hate leaving the house when I'm nursing a newborn every couple of hours. 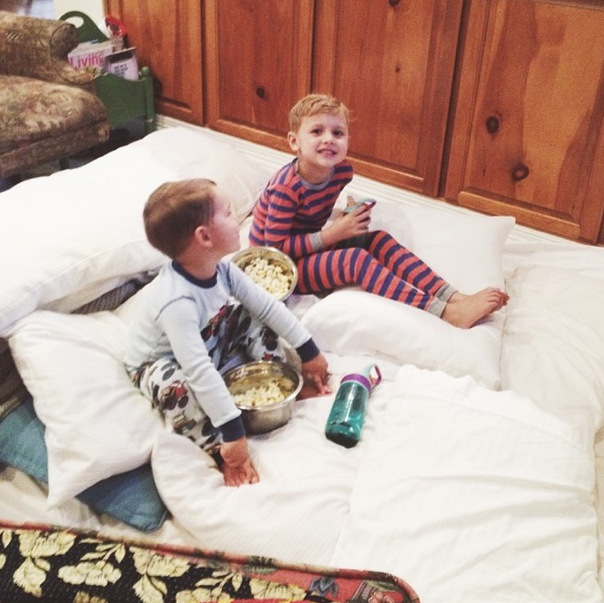 That night we told the boys that we would let them have a pillow fort party and watch a movie. They were so excited! David made a really cozy spot in front of the TV, I made popcorn and filled their water bottles with some root beer and then we turned on Monsters University. I love that movie and these boys! So adorable. William does look big in that pic.